"We don't determine music, the music determines us; we only follow it to the end of our life: then it goes on without us." Israeli free jazz saxophonist Albert Beger, 45, has dedicated his fifth disc, Listening , to the late great saxophonist Steve Lacy. But unlike the Lacy quote, on Listening Beger delays his surrender to the music and opts for a more accessible musical statement. This disc, the first outing with a quintet after recording with quartet and trio formats where Beger was the main soloist, is the best Beger has delivered so far. 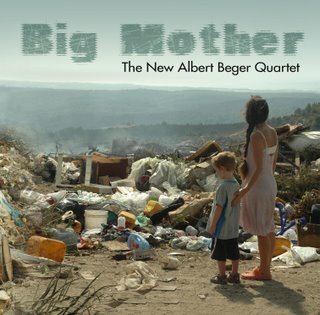 With this collaborative quintet Beger is able to share the leading chores with two other soloists, but mainly Yoni Silver on the alto sax and bass clarinet. The quintet keeps Beger on the edge, pushing him forward, balancing him, but always in a very measured manner, too often too measured. 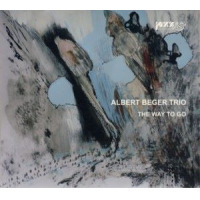 With the quintet Beger chose to record seven tracks, spanning a very short 45 minutes, with tight and focused arrangements. This compactness is one of the great virtues of Listening. But after the initial enjoyment from this exciting quintet, and knowing Beger's composing skills and his willingness to push ahead any boundaries, I found myself wishing that he would take more risks and stretch out a little more, especially with such sympathetic players. The opening explosive track, "What a Day," represents Beger's attitude on this disc. 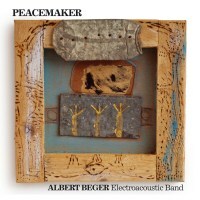 It begins with a simple Aylerian anthem-like theme that all players follow, but soon enough Beger begins a wild and fiery, tough, too short solo that is followed by a Hendrixian distorted guitar solo by Yiftach Kadan, side by side with a passioned solo by Yoni Silver on the alto sax, but then it finishes quite abruptly after a short replication of the theme, leaving one wishing for more of this head. Only on "Karma" does the quintet play with total abandon, with intense high energy drumming by Fershtman, but again it ends too soon. 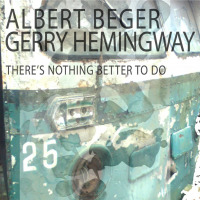 Listening also features Beger's sentimental side in his homage to one of the main influences on his playing, Albert Ayler, on the sweet and innocent ballad "Albert" and on another quiet and beautiful track, "Sasha"; but his cohorts in the quintet, Silver and Kadan, always counter Beger's sentimentality. On the last track, "Baba Yogi" (Beger is a dedicated yoga student), Beger's improvisations pay a debt to Lacy and one of the forefathers of the small Israeli free jazz scene, clarinetist Harold Rubin, with whom Beger began playing free jazz. "Music speaks for itself, and needs no explanation or justification; either it is alive, or it is not." Again, a Lacy quote that Beger and his producer, Yossi Acchoti, chose for the liner notes. Indeed, the music through Listening is full of vitality, and it speaks volumes on behalf of Beger.